pipe made by the company. Naturally the manufacturers will end up with a fair number of bowls that are just below the quality required for their branded ranges. These bowls undergo less expensive finishing processes and are sold at more economical prices. Such pipes are the Capitol from Savinelli or Lorenzo's Albanian pipes. at home, or the one to smoke when in the garden, workshop or out fishing. The bowls will have surface flaws and fillings, less conspicuous when the pipe is stained and polished. But remember that all grades of Savinelli bowls receive the same curing treatment ensuring that they give a good smoke. Optional 6mm filter, Teflon peg. After curing, the bowl is left untouched. – and the result is superb: a honey-brown, satin finish. Beautiful to look at, and a pleasure to hold. The Marca 6 have optional 6mm filters, Lorenzo's Lipari Large, Two Tone Large, Walnut Large, Rustic large and Spot-Carved have optional 9mm filters, and most of the others are fitted with a metal "filter" or arrester, which will prevent small pieces of tobacco lodging in the mouthpiece and may cool the smoke as it slows it down. with its supply of briar and its emerging economy.  A great selection of shapes and finishes with optional 9mm filters. 3 stunning shapes left – mostly spot carved, but 2 of them have his new embossed carving* in addition to spot-carved. of the excellent grain on the pipes. Definitely only for higher quality bowls – the grains are lovely. 1 shape: A new model (once off). Spitfire by Lorenzo and Duo - with the optional Churchwarden or Standard mouthpiece. 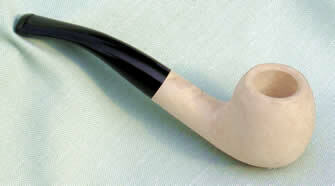 The pipe with the optional Churchwarden or Standard mouthpiece. Choose the shorter Standard mouthpiece for out-and-about. All the bowl shapes look equally good with the long or the short mouthpiece. The bowls all have relatively thick, sturdy shanks. Smooth honey-blonde finish with decorative carvings. Smooth sepia-brown finish with decorative carvings. ready for you to express your vision.  youll need proper wood sculpting tools and some patience. The result will be worth it! Wed love to see your pictures too!  a fine ten minute smoke. We have very often been told that "my Budget pipe is the best pipe I have ever had"
- but don't bank on it - just expect value for money.